The Andover Beacon, a small non-profit monthly community newspaper and news Web site, plans to hire a permanent part-time Web and Print Production Specialist to process articles, photos, and ads in preparation for printing/posting. The only required technical skill is to be comfortable and efficient using computers for work. If necessary, we are willing to train all the other specific computer skills required. Certain personal qualities are absolutely required, including the ability to work effectively as part of a deadline-driven team. Reliability, motivation, and a commitment to quality work are some of the other essential qualities we must have in this new hire. 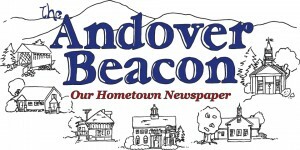 The Andover Beacon plans to hire a permanent part-time Web and Print Production Specialist to work at least 10 to 12 hours per week, mostly at the Beacon’s offices in Andover, New Hampshire. The salary approved for this position is $500 per month. There are no benefits. You can learn more about The Andover Beacon at AndoverBeacon.com. In making this hire, we believe we will be far better off if we hire the right personal qualities than if we only hire the right skills. Helping community members master Web and print production technology is an important (though secondary) role of The Andover Beacon, so helping you learn the skills you need to succeed on our team isn’t a problem. What we can’t afford to teach you is how to be organized, reliable, motivated, mature, and many other “must-have” personal qualities you’ll need (see “Professionalism,” below) to be a valuable and productive part of our very small team. Those personal qualities are the things you must bring with you to this job — as for the skills, we can take care of those once you get here. Here’s more detail about the job itself and who we’re looking for to fill it. Dealing gracefully and efficiently with the inevitable problems that computer hardware and software will throw at you. Never losing track of anything! Articles, ads, photos, e-mails, files, etc. Co-ordinating your effort with the efforts of all the other members of the team so everyone’s effort is leveraged, efficient, and maximally effective. Maintaining a sane workload by pushing to get things done even when there’s no immediate deadline looming. Leaving a generous margin for the unexpected (which you absolutely can expect!) by always finishing everything well before the deadline. Organization skills, especially the ability to work effectively within a large but carefully-organized hierarchy of folders, file-naming conventions, lists, spreadsheets, workflows, etc. Ability to balance your own needs and ideas with the needs and ideas of the entire team in order to ensure that the team as a whole is maximally efficient. November through March is an insanely busy time of year for us, so we won’t necessarily get back to you quickly. But we’re going to try to move this job search ahead as best we can, even during this very busy time. Thanks for your understanding.